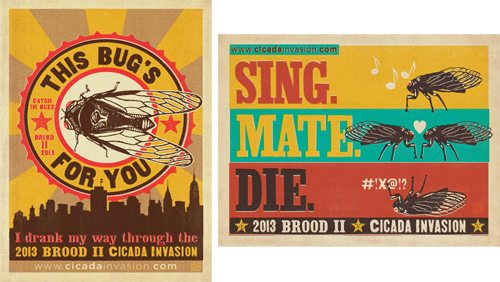 Anytime I hear of a cicada invasion (which is surprisingly more than you may think), I grin from ear to ear. I just love the whole idea of it. It's nature doing its thing and in the most surprising way. The Brood 2 cicadas spend 17 years underground before they reveal themselves en masse. They appear, mate, lay eggs, then die. Joel Anderson loves Nashville. 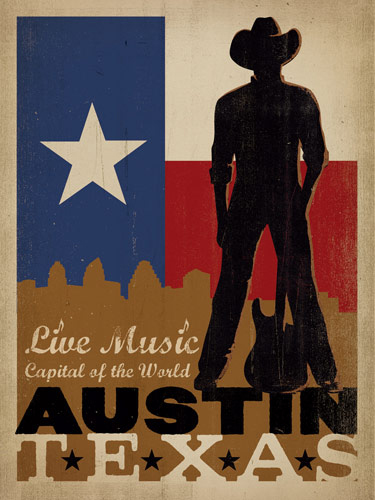 All you have to do is check out his art deco series, Spirit of Nashville to know that. 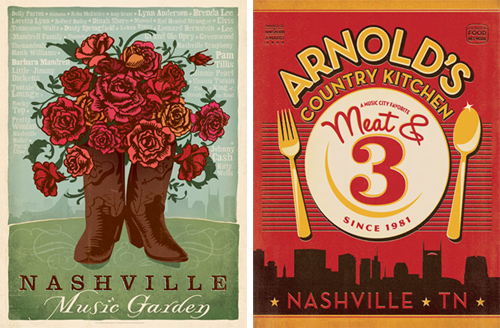 A Southerner through and through, Joel and his team of artists at Anderson Design Group celebrate this great American city by showcasing the best of what Nashville has to offer. 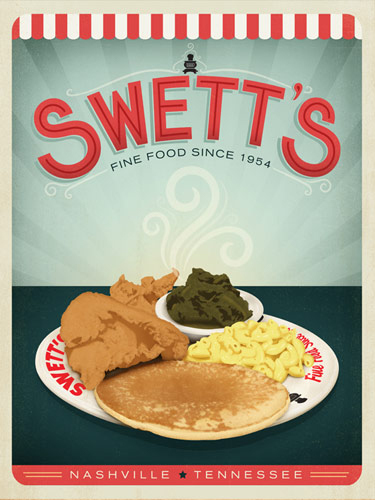 This includes Swett's, an iconic Southern food joint that, after over 50 years in existence, is now a cultural landmark. Joel and his team have designed over 100 images of Nashville. I realized while perusing them, that together these images serve as an essential guidebook of what to see if you happen upon this Tennessee gem in your travels. Reading his description of Arnold's makes me want to go visit now... "Arnold's is one of the best meat and three restaurants in the South. Everything is fresh and made from scratch daily- served with friendly hospitality." After the great success Joel had with his Nashville series, he and his team in Tennessee have slowly but surely accumulated a large number of iconic images of various states, cities and national parks throughout America. Called Art & Soul in America, the series has so many scrumptious prints it's hard to choose a favorite. If you have an empty wall to fill, you've got lots of options. The best part about Joel's work is you can just feel the strong connection he has to the South. It's in his bones - a love and appreciation that runs deep and translates into stunning works of art. Which is why his images would be such a perfect addition to any home right here in the US of A. See all of Anderson Design Group's work here.